We got a bounce just below 1395 as expected, and the market is currently retesting that level. 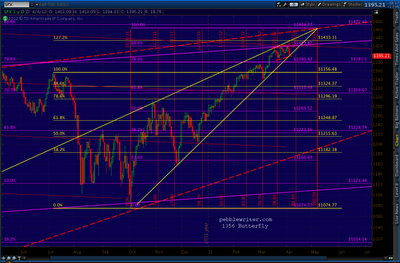 Again, if the rising wedge and our little channel hold, there is decent upside ahead. There's a lot riding on today's sell off for both bears and bulls. 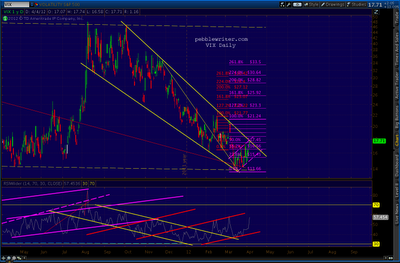 Note the RSI TL tag (red arrow) to go along with the rising wedge lower bound test. This chart shows the yellow Butterfly pattern with inception at 1347. The 1.272 at 1421 was already tagged on Monday -- which was also the .886 in price and about .86 in time of the yellow rising wedge that lies within the huge red, dashed rising wedge. Prices could conceivably stay in the rising wedge all the way there, but there are also many instances of rising wedges breaking down, only to BACK TEST TO THE ORIGINAL APEX. Either way, if we can get through the next few days without the yellow rising wedge breaking down, we could see 1433 around the 13-15th. If the yellow rising wedge does break down, I think it's entirely possible we'll get back to 1433 or even 1451 on a back test. These are precarious times, when a single initial claims report or failed Spanish bond offering could sink the market. While I'm positioned for lower prices, I'm hedging my bets because I'm concerned the bull isn't quite done over the short term. NYA and RUT, in the meantime, have definitely broken their rising wedges. I'll post more on them after the close. 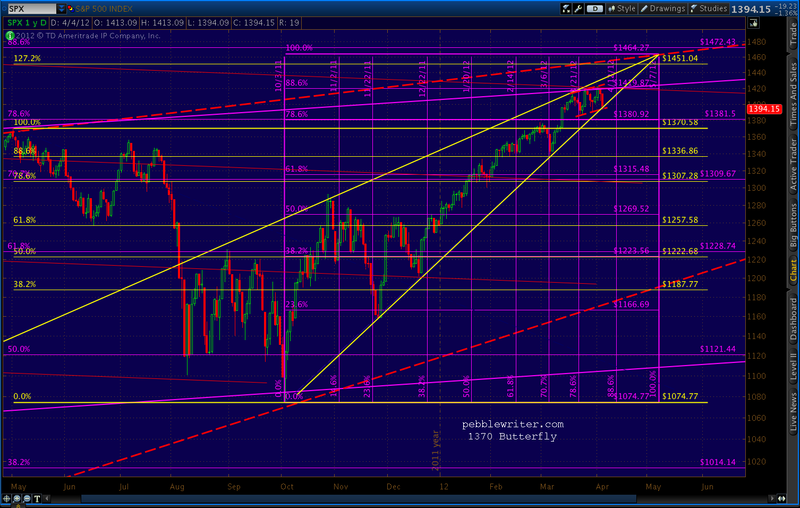 When SPX does break, the damage could be severe. 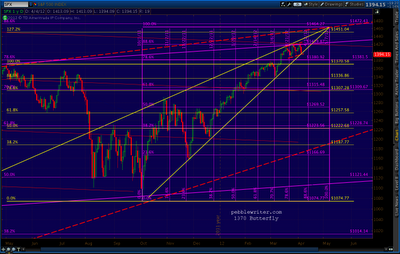 The big red rising wedge is currently all the way down at 1180 -- 15.7% below current prices. 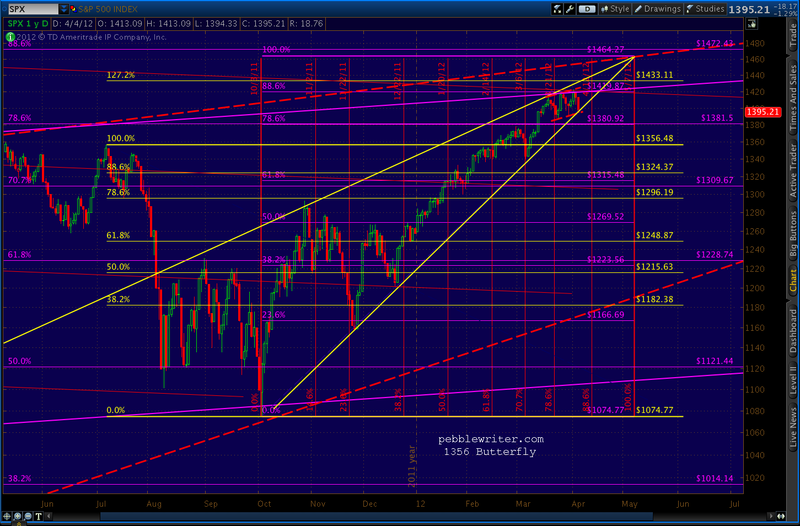 The market continues to sell off, with SPX about to break 1398. 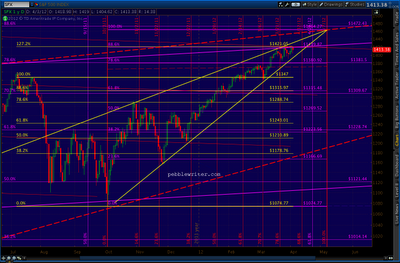 Here's a close up of the wedge and the relevant fib levels. 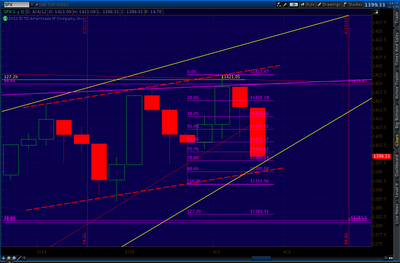 Remember, an intra-day break of the channel isn't nearly as important as a close beneath the lower bound (in yellow). I'm also watching the little channel that set up over the past couple of weeks, marked in red, dashed lines. The .886 Fib level lines up with the bottom of that channel at 1395.08, meaning it's the most likely place for a bounce -- if we get one. Meanwhile, VIX is getting a pretty good bounce this morning -- up over 10% to an intra-day high of 17.66 and testing its falling wedge. There's a little rising channel to match SPX's falling channel. 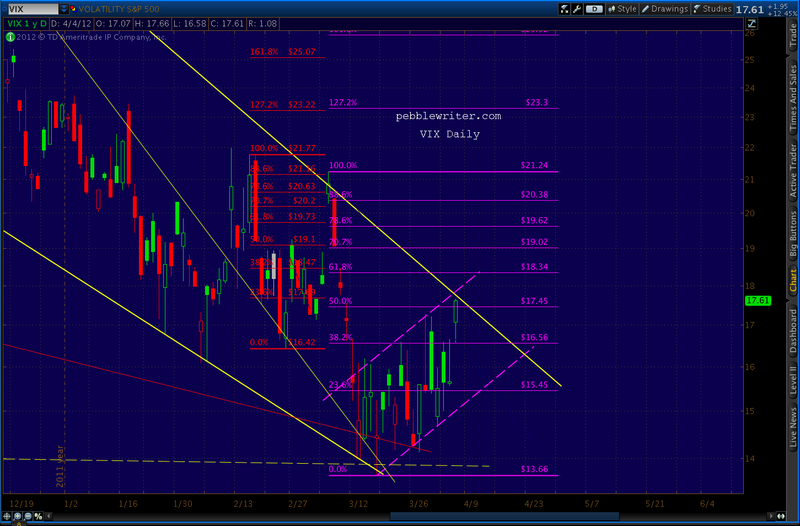 It breaks through the falling wedge at around 17.75. It also appears VIX is possibly tracing out either a Bat or Crab pattern (in purple) with potential point B's at the .382 or .500. A Bat completion would target the .886 at 20.38, while a Crab would target the 1.618 at 25.92. All contingent, of course, on whether we can break out of the wedge without merely widening it as has happened several times. The VIX RSI channel I theorized a couple of months ago has played out very accurately, and appears to support the idea of VIX having more upside than just the falling wedge boundary. A few days ago we discussed the three Butterfly patterns we were watching, each of which was posed a legitimate level at which the melt-up should abate [see: All the Pretty Butterflies.] One of them completed at 1421, which we reached (high of 1422.38) on Monday the 2nd. Since then, we've not bested 1422. 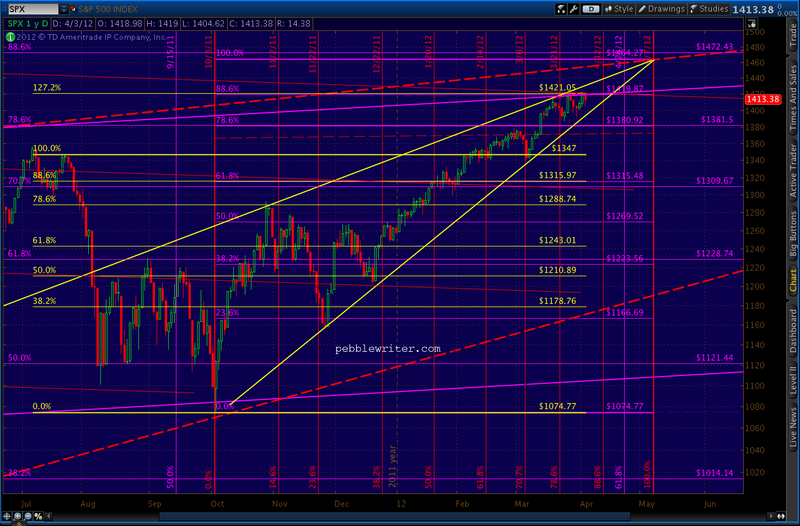 And, with this morning's imminent sell-off, it's possible the yellow rising wedge will break. 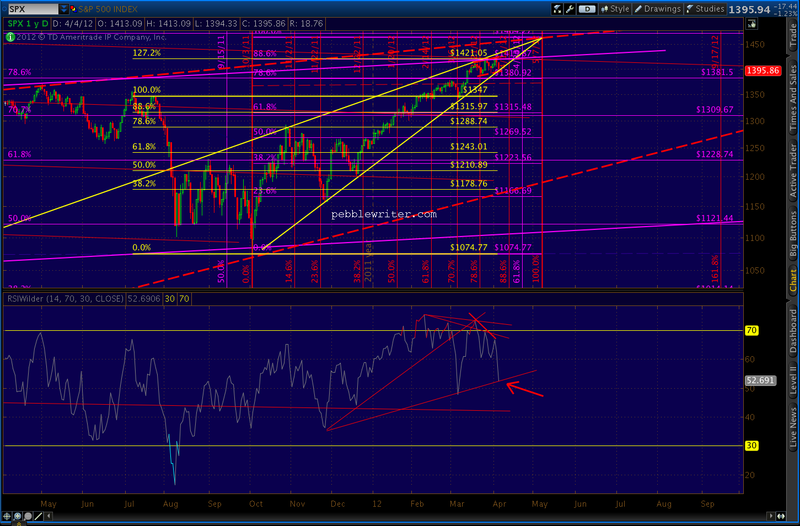 The key will be 1396, below which we're no longer in this smaller wedge and have downside potential to 1380 or so. We're about to find out just how much investors have been relying on the idea of QE3 for their bullishness. Thanks again for your blog and your work. 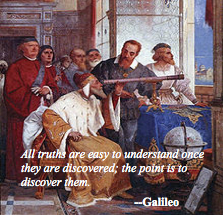 I look here every day and appreciate your analysis. interesting this morning. PW, do you think this resistance at 1397/1398 is a retest of the wedge break? 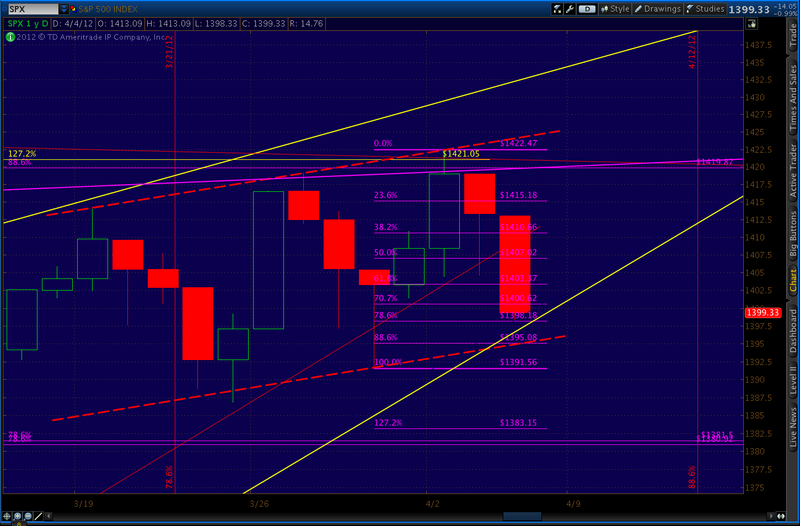 My best guess is we're going to close at 1405+ on the day, leaving the wedge break as a shadow on the daily candle. PW, thanks! 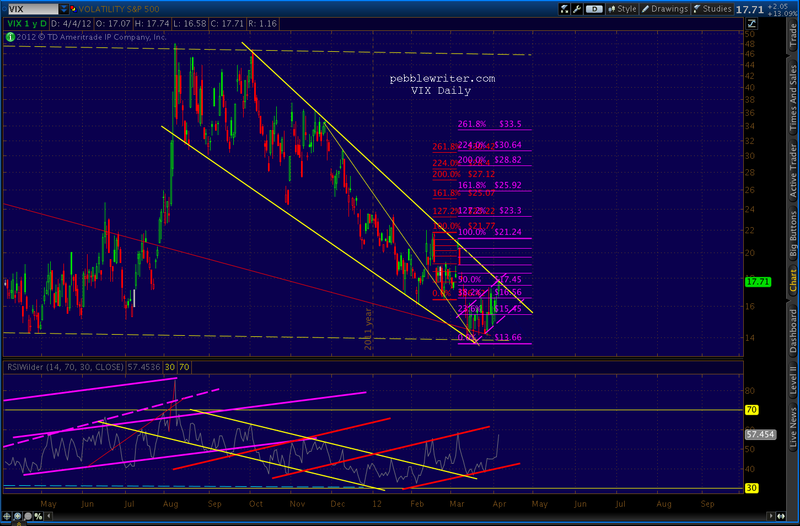 One confusion about the yellow rising wedge. 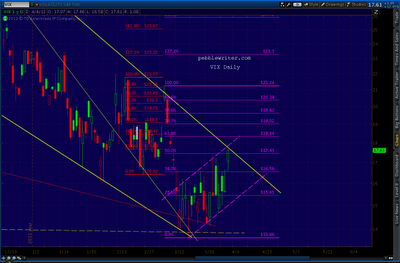 Without yellow rising wedge breaking down, we'll see 1433. 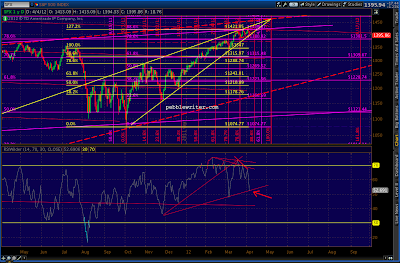 With yellow rising wedge does break down, we still the 1433? If the yellow rising wedge does break down, I think it's entirely possible we'll get back to 1433 or even 1451 on a back test. " Yeah, I can see where that sounds a little confusing. What I should have said is that rising wedges that break down only a little often go on to complete a back test to the price level of their original apex. It works that way with falling wedges, too, as we recently saw with VIX. 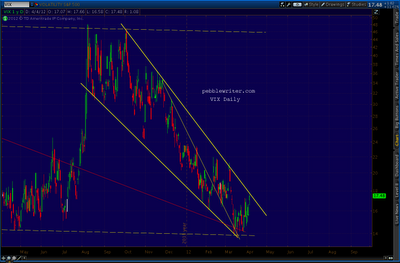 Check out the original falling wedge, formed with the yellow dashed line. 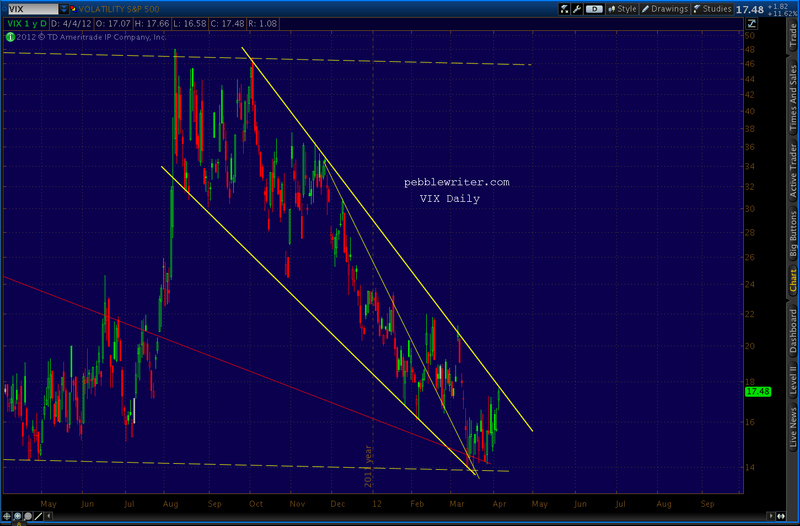 VIX broke out, but couldn't get any momentum going. Instead, it fell back to 13.63 -- right around the price level of the original well-formed apex. Hope that helps. I'm working on a pretty cool analog that has this phenomenon repeating. It's something I've noticed before, but never paid it that much attention until a few months ago.